Happy 21st birthday! It is both difficult for me to believe that 21 years have gone by since I first held you in my arms that Friday morning when you were born and welcomed you to this world and amazing to me that you have only been on this earth for 21 years. To say today that I am proud of you seems superfluous, you have heard those words slip from my lips many times over the past 21 years but you know they always come from the depths of my heart. It is far more appropriate to say that I am amazed by you. Amazed by how intelligent you are, how you seek and absorb knowledge like the rest of us breathe air – effortlessly like it’s second nature for you. Amazed by how kind, thoughtful and appreciative you are of everything and everyone – and how you are never too old or too cavalier to say so to me or anyone else that does something for you. Amazed by how you meld your roots with your wings. Everyday I am thankful that you are a part of my life and a part of our family. If I could hug you and never let you go that would be so unfair to the rest of the world. I know that you are here to do extraordinary things and to touch so many more lives than just ours. Most that is said is really like a distant echo. Few minds are strong enough, free enough of prejudice and arrogance for the original thought to want to pass through. The body is like a vase, a bell that can chime. It does so to varying degrees in response to every experience and feeling. The value of vases can differ, as you know, quite a bit. How does heaven assign worth to our sounds? an ally are you then considered by the gods. ~~Tim, as you come upon this milestone — may you always be considered an ally by the gods. Through a mother’s eyes, this is how they will always look to me. No matter how many years the calendar says they are, how tall they become, how adult they are to the rest of the world. When I look at them, I can see what the rest of the world sees, the handsome, smart, amazing young men they have become, but I also see these faces. These people who somewhere in the recesses of their subconscious minds, know what my heart sounds like from the inside. Today, two of them headed back to school. The oldest left a week ago. The time always goes way too fast. There doesn’t seem like there are enough seconds in a day when they are around. I want to sit and talk with them, stare at them, drink it all in like some intoxicating, addictive drug. I was pretty good earlier today when my friend and I dropped off our youngest two, that is until she pointed out, with mom tears in her eyes, that this was really the last time they would be ours, truly ours. In a few short months, those two, our respective babies, will join their siblings with their own apartments. Next summer, there will be another place they will call home. That thought just did me in. So when my middle son took off for his home away from home tonight, there was a little extra poignancy to the goodbyes. “We’re only a couple hours away, you know” he said “don’t be sad.” Yes, I know. But through my mother eyes and in my heart I want to scream – you are too young, too little, too much mine to share with the rest of the world. But… share I will, because they are also too wonderful, amazing, smart and funny to keep all to myself. And so begins the empty nest all over again…. Today starts the cycle of birthdays here in the Heffernan house. Two of our boys celebrate birthdays 10 days apart. For many years when they were younger, we celebrated their birthdays together with family and friends. I have yet to adjust to the whole college life where birthdays are often spent apart and celebrated together when we can. I do miss hanging the “Happy Birthday” banner and setting up their place at the table with presents for when they woke up. Twenty years ago this afternoon, we welcomed Tyler to the world. He came bouncing into this world at 5 p.m. and has held my heart ever since. He has the unique spot in the family to be both a big brother and a little brother, something neither of his siblings can claim. It has been amazing to watch him grow into the young man that he has become and I know that the world is, and will continue to be, a better place with him in it. He has such a big heart and is probably the most empathetic person that I know. He is the strong silent type, soft spoken, quiet and very observant. If you are able to have him flash you one of his smiles, you are lucky indeed because his entire soul lights up with that smile. It is a privilege to be your mom. I wish I could be there to give you a birthday hug but instead I send a heart full of wishes for lots of love, laughter, happiness and success as you embark on a new decade in your life. You will do great things. I am very, very proud of you and love you with all my heart. Happy Birthday! My boys amaze me. I am constantly in awe of how much they do and how very capable and talented they are at what they do. While we certainly are supportive, I honestly cannot take the credit for exactly how much and how well they manage to do things. 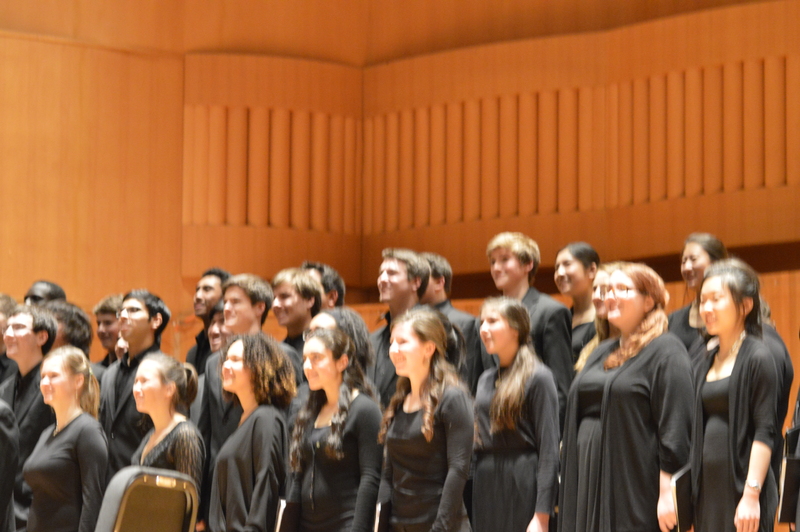 For example, this past weekend, Tim was a participant in the American Choral Directors Association Eastern Conference. 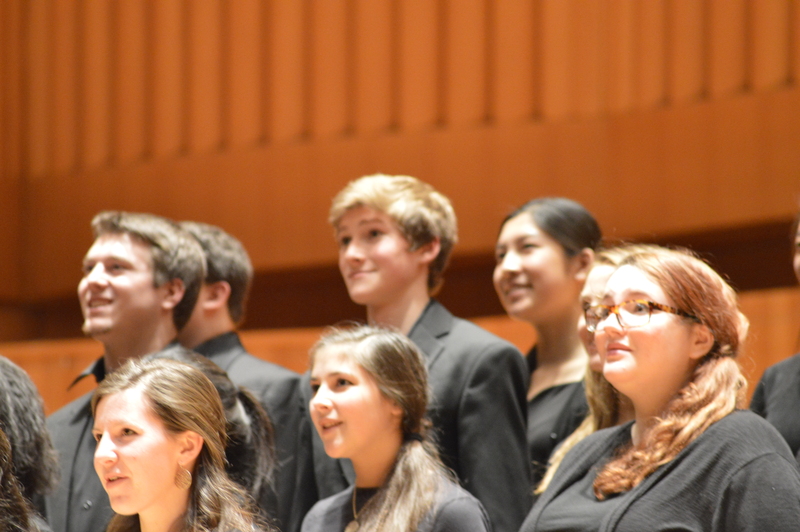 He, and four other Mill River students, who auditioned last year were selected to be part of the honors choirs. Tim had the privilege of performing in the Chinese Honors Choir. He learned and memorized about 8 songs in Chinese which he performed with 99 other students from all along the Eastern United States. He and his classmates, who were 4 of the 9 Vermont students that qualified for this distinct honor, performed in the Symphony Hall in Baltimore, Maryland with nationally recognized choral conductors. We drove down to Baltimore this weekend meet Tim and see the concert. It was an amazing experience and still would have been an incredible event even if my own flesh and blood wasn’t one of the students performing. The entire experience was wonderful. My boys have the ability to constantly amaze me and make me incredibly proud. Enjoy the pictures here and share my pride and the pride of my fellow parents in how wonderful these students were and what an incredible experience they had. 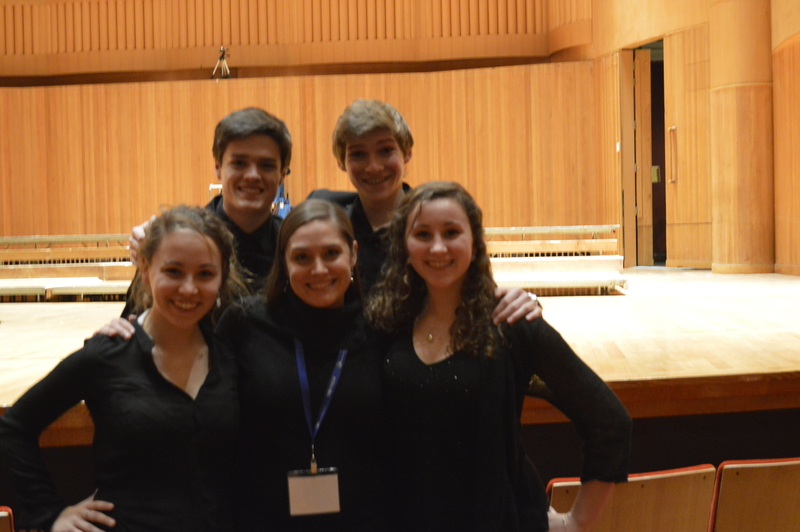 Our ACDA participants with their choral instructor, Kristin Cimonetti. 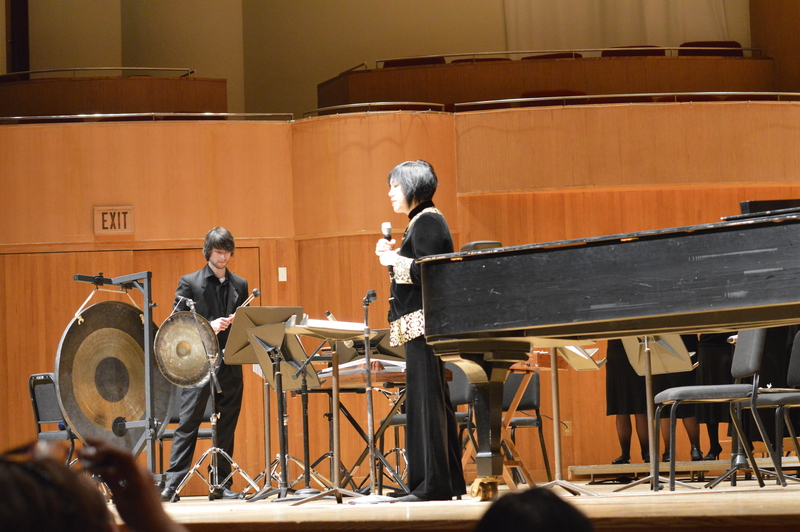 The conductor of the Chinese Honors Choir – she was wonderful and explained the words to the songs that the students performed in Chinese. 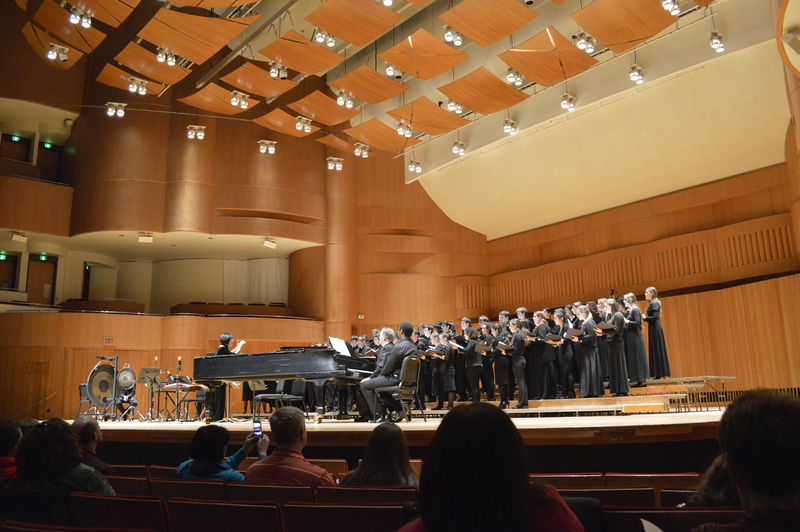 The entire Chinese Honors Choir performing at Symphony Hall in Baltimore. I have a collection of Calvin and Hobbes books that sit on the bookshelf. I remember how disappointed I was when Bill Watterson announced that he would no longer be drawing the strip. The comic of a little boy and his imaginary tiger bring us back to the wonder and imagination of childhood with adult appeal thrown in for good measure. There is something particularly amusing to me about his snowman related strips. I came across this one today on GoComics.com and needed to share. Heh, heh, heh — come on, haven’t you felt like this? When we moved here five years ago, I remember feeling a little lost when I was around the other parents and the other kids at school functions or parent meetings. So many unfamiliar faces and while no one was openly hostile or purposely ignoring us, people just naturally gravitated to each other, to familiar faces and those with whom they shared common bonds. It was, I must admit, a bit lonely for a woman who was pretty darn involved in her boys’ lives and fairly active in the various activities prior to our move. Parents were strangers, kids were even bigger strangers. 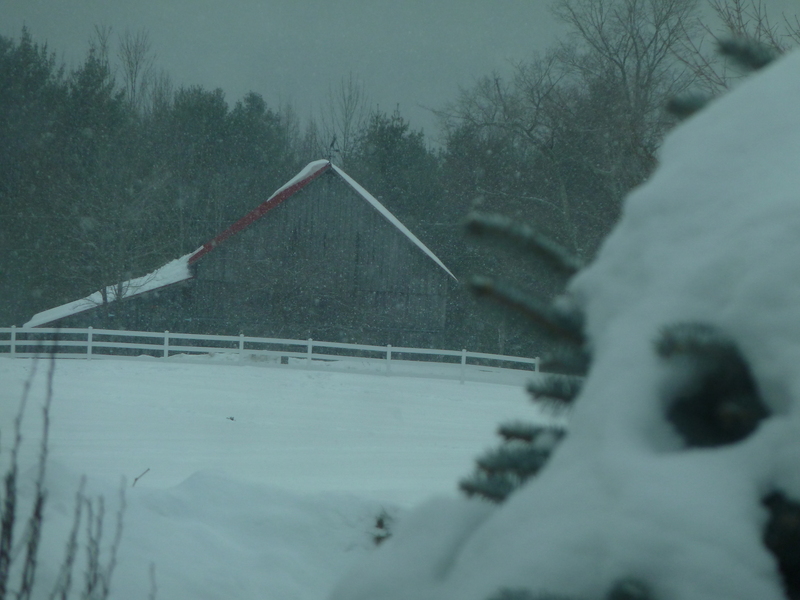 Last night, as we watched the MRU Winter Vocal concert in a packed auditorium of family and friends, it occurred to me how far we, as a family, have come here in Vermont. All the boys have wonderful, steadfast friends who really have their backs. If you watched any group of them, you wouldn’t believe that a few years ago, they were separated by hundreds of miles and were complete and total strangers to each other. We have developed some great friendships with other parents and it was extremely nice to look around and see so many different and familiar faces. Best of all I think was sitting there as a member of the audience and watching, even staring, at the various members of the different musical groups. It was heartwarming to see how these children are maturing into adults – a transformation right before our eyes — highlighted by their formal choral attire. So many familiar student faces, so many friends to my boys. It was very classy to watch the kids cheer each other on during performances and realize that they really, honestly mean it. 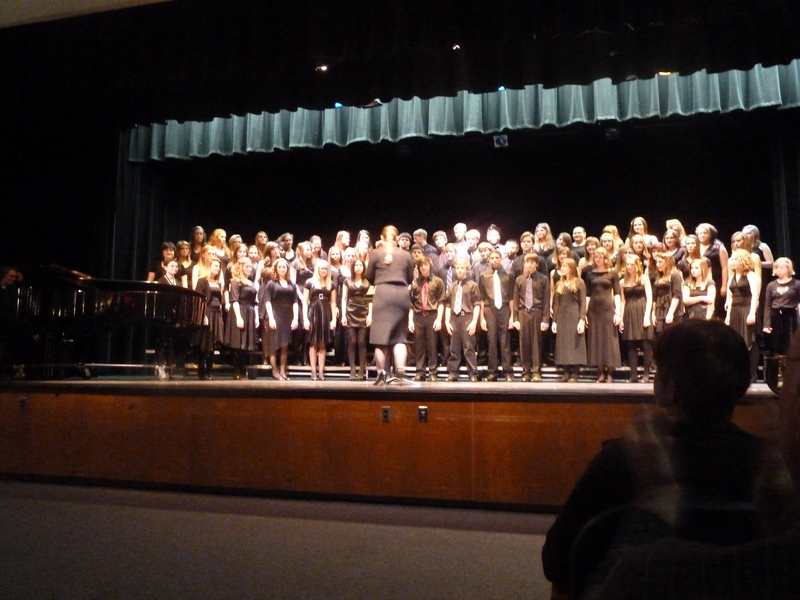 The high school emsembles and chorus gave a standing ovation to the junior chorus after its performance – the first of the evening. The audience was peppered with recent graduates who have returned from college for winter break – and they stood to applaud their former fellow ensemble members after each and every performance. It is nice to see such support and friendship among the kids. Its also nice to know how many friendships we have forged in such a small amount of time and to reflect on how lucky we are to live where we do. with a heart attack. We’re off to the podiatrist today for that. Then seems that a flashlight vibrated off the top of the dryer and hit the hot water lever on the utility sink in the laundry room. Good thing we work from home, since after about an hour there was a huge flood in the laundry room, I don’t even want to think what it might have looked like after a whole day of running water. 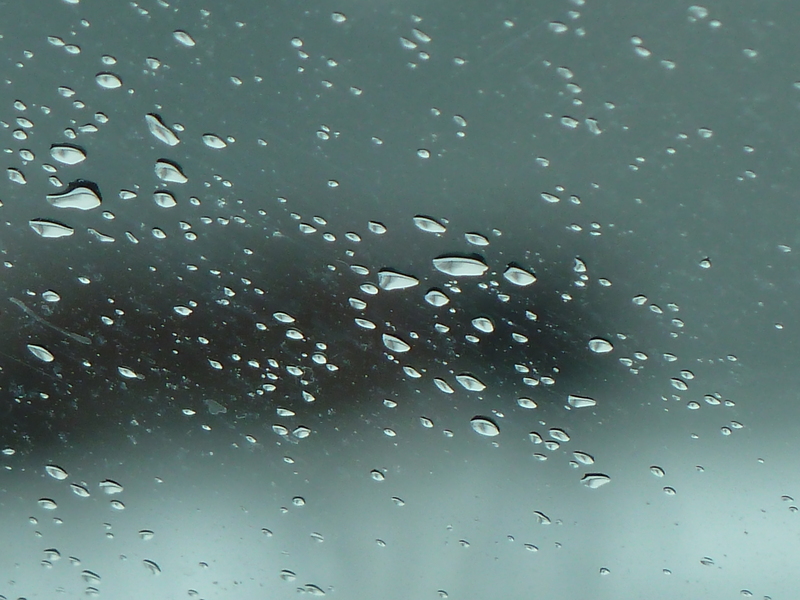 We’re still drying it out and all the damp weather we’ve been having certainly doesn’t help. a good idea to completely dig up the tomato plants that I had so carefully planted the day before. I think that she is being possessed by the spirit of the White Dog. Seriously. What else could have gotten into her? A day where no one argues and you’re made to feel like a queen — oh, alright, a princess (since the Queen is rather old anyway). I personally still feel that Mother’s Day belongs to the mothers in my life – my mom, my mother-in-law – not so much for me. Don’t get me wrong, it was always so sweet to the point of tears when the boys would bring home so proudly the cards that they had made or the bead necklace or potted plant. As they get older, though, it gets more complicated. Someone at school didn’t tell them what this year’s Mother’s Day project would be. They are set to figure out, on their own, how to make it a special day. You have to love them for it. But seriously, a houseful of guys barraging me with questions “What do you want for a gift?” “What do you want to do?” “What do you want to eat?” I dearly love the men in my life, but seriously haven’t they gotten it yet, after all these years? Honestly, whatever they do that day is fine, whatever they cook or come up with or go out and get are all fine. The best gift is the fact that I didn’t have to think of it, plan it or clean up after it. 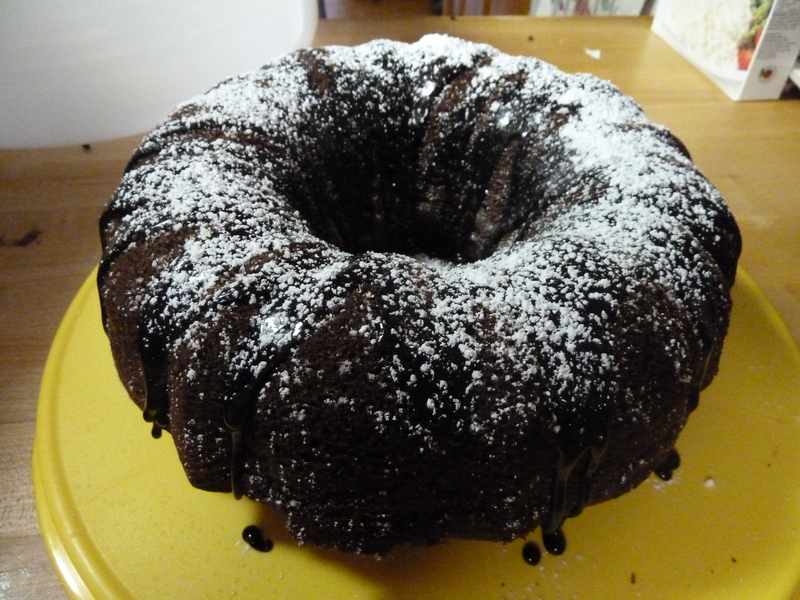 The end result might not be the best or the most delicious (or surprisingly it could be both) but that doesn’t matter. What matters is that they made the effort, that they took the time to think about someone besides themselves, which is difficult at best for teenagers. Tonight, I am getting a dinner and dessert cooked by the men in my life. 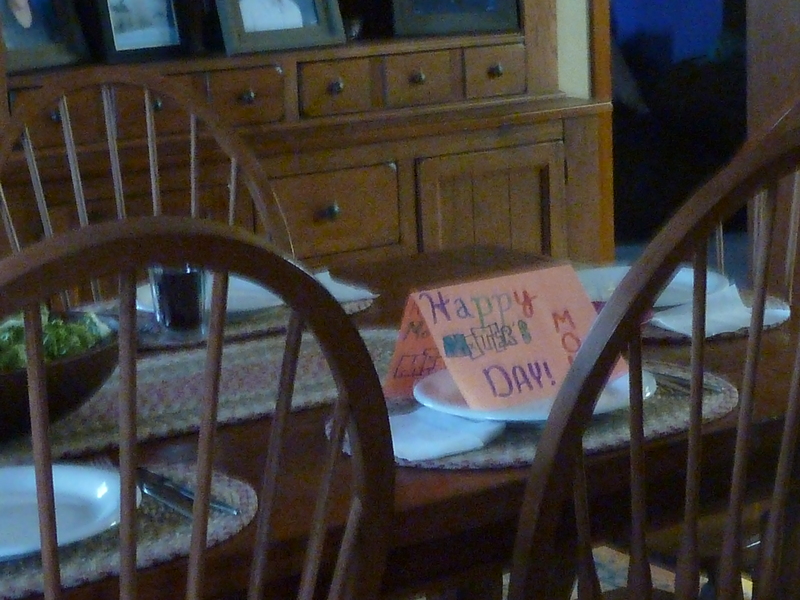 We had a delicious dinner of steak tips, rice and salad that Tim so graciously and deliciously cooked for me, set the table and decorated it with his Mother’s Day card. TJ and Alex made dessert……. 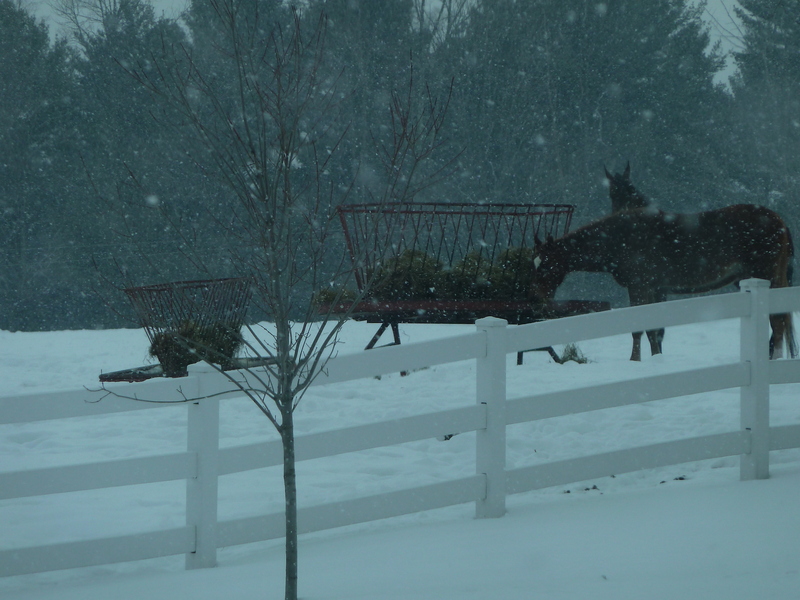 The men are all cleaning up as I type this….. and then to snuggle up together for a family television show. A good day…..to be a mom. It’s always challenging when the boys are off from school and I work from home. My schedule is thrown into a tizzy – attorney me collides with mom me and all sorts of guilt comes along for the ride. I remember when I used to complain (to myself mostly) about how crazy they made me when all they wanted was food and someone to play with them. Now, thinking back on that I realize that I did have all the power. I could tell them when to eat, what to eat, what to wear, what we were doing and miraculously they listened and they did as they were told. These days, everyone has a mouth and an opinion. Even a simple thing like lunch or dinner takes on new levels of difficulty when everyone can actually voice an opinion about it. I honestly can’t really remember the last time I cooked something that I wanted – now almost every meal is to either conform to 1) a time schedule – it’s what we can make and eat in the allotted time between activities, pickups, drop offs and the like; or 2) who’s eating with us – they have friends and their friends have likes and dislikes – vegetarian – vegan – you name it and I am not the type of person to throw food on the table and demand the attendees to “take it or leave it” (mostly because I guess that they would just leave it and me with a load of uneaten food); or 3) dietary issues – different from likes and dislikes these are medically restricted things such as my one son’s allergies (no nuts, peanuts, sesame or white fish on the menu) or my husband’s avoidance of foods that trigger a painful gout attack (no tomato, no beans, no spinach, no shellfish and the list goes on). I adjust, I occasionally grumble and complain, but I deal. I could tell them that we were going out and they would get their coats on and go.. no grumbling, no complaining. Instead these days my plans revolve around their plans. Don’t get me wrong, I am eternally grateful that they are healthy and I am forever reminding myself when I grumble or cry how much worse it could be and how lucky I am. Yet, school vacation is always a challenge – conflicting desires, emotions. Ah… the pressure. Valentine’s Day is a day both anticipated and dreaded. Single folks lament their lack of love, couples rack their brains trying to outdo each other and those around them in demonstrations of affection and love. Restaurants are booked to the nines with couples looking to share a romantic meal for Valentine’s Day. Silly people. While I wouldn’t turn down a beautiful bouquet of some pastel colored flower (red is not my personal favorite for roses), I do have to admit that there is a great deal of time and money and anxiety surrounding this holiday. We have personally witnessed the angst of a poor guy who didn’t really think that he needed reservations on Valentine’s Day and we (the group of friends who decided that going out together on Valentine’s Day was fun) kindly offered he and his date the two empty seats we had at our table when our reservation got called. It turned out to be a fun evening, probably one of the more delightful Valentine’s Days we’ve spent. Valentine’s Day should be but one day in a year, or if you’re lucky – a lifetime of love, flowers and chocolate (probably in that order although there are days that I might shuffle it around a bit). I am lucky to have a husband that I love and I look forward to spending the rest of my life with him. I am lucky to have three adorably handsome healthy young men. Flowers will die and chocolate will be eaten, yet these gifts will remain. May you enjoy your Valentine’s Day however you wish to spend it, and remember it is but one of 365 days. How those that care for you treat you the rest of year really is more important than what happens on just one day -even if you do spend most of it in a car – driving kids around like I did. Today was a day spent running around, shuttling kids – dropping off and picking up and waiting around in between. It’s easy to be angry that pretty much all the daylight hours of today involved children, getting them up, fixing them breakfast, fixing them lunch, dropping each off at their respective spots and then beginning all over again to pick up, make dinner and now it’s dark. So much for that ski we planned. But it’s also easy to take it in stride knowing that these days, these days where we complain about the boys and how much a pain it is to take them here and take them there, are dwindling. Time to temper the frustration and annoyance at yet another trip to the mountain or Rutland or a friend’s house with the fact that soon, very soon in fact, the house will be too quiet, too still. They will have outgrown their needs for rides. Oldest son gets his license in a few months, middle son gets his permit and youngest son is only a year behind. 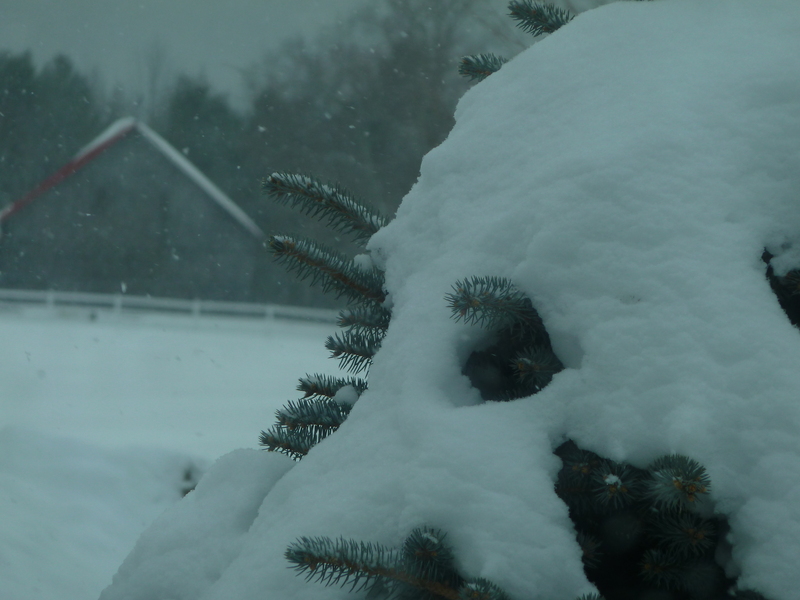 While we were waiting to pick up a son today from a sleepover, I took out the camera in the snow and took advantage of the scenery to play. Here are the results. Well, last night we almost had a night kid-free without them being away —which would have been a nice treat. 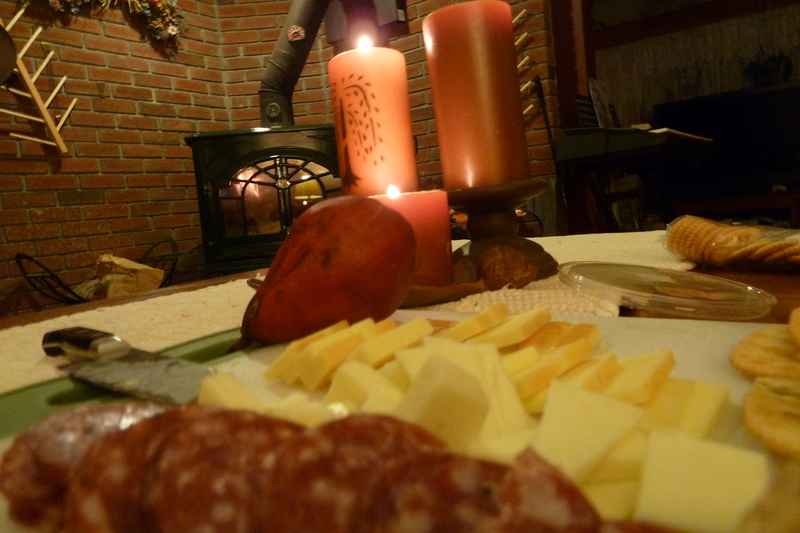 That didn’t work out but dinner (or what we called dinner) was delicious…shared by candlelight and the fire.